Even better, even harder, even more effective – the Body Attack Nitro Pump 3.0, in comparison to other pre-workout boosters, provides just the right amounts of active substances to give your muscles even more power and pump when working out. Nitro Pump 3.0’s new and improved formula will allow you to surpass your previous performance. You will feel a burning fire in your muscles, which will make your muscles feel bigger and harder after your workout. Who can use Nitro Pump 3.0? Nitro Pump 3.0 by Body Attack is the perfect complement for any athlete who wants to feel an unforgettable pump whilst working out and at the same time, see better results from your workout. After the huge success of the previous Body Attack bestsellers without caffeine, version 3.0 is full with exactly the right amounts of active substances and nutrients that turn your workout into an adventure. Body Attack Nitro Pump 3.0 is the perfect nutritional compliment for athletes who want to obtain even higher levels of energy in their workout and also feel an intense muscle pump. Although it does not contain any caffeine like most boosters, it does contain L-Tyrosine and L-Taurine, which are also present in the popular energy drinks.. The supplement of B Vitamins like Niacin produces a greater synergy effect by sustaining the normal function of the nervous system during an intensive workout phase. That means that you can sustain your mental performance in the strenuous workout phase. This allows your muscles to train for longer and more intensively, if the above nutrients stave off tiredness and fatigue. As a result, you are able to lift more weights and do more reps during your workout. Your muscles feel that in training due to higher volume and a stronger pump. The pump is put into motion mainly thanks to the Mega Dosed Pump Workout Fusion Matrix. 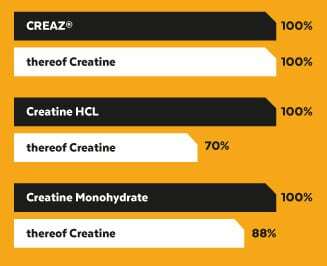 Apart from the 3000 mg of pure creatine, the CREAZ contains a further 3000 mg of beta-alanine, 2500 mg L-Arginines AKG, 4000 mg L-citrullines, 2000 mg L-leucine, 1000 mg L-valine and 1000 mg of L-isoleucine. Nitro Pump 3.0 Booster by Body Attack provides the optimal formula for an ideal workout, as devised according to the most up-to-date findings. On top of that, it also tastes great, thanks to an improved recipe. With Nitro Pump 3.0 Booster, you can be more motivated and focussed than ever when going to pump some iron. The new Pre-Workout Matrix Nitro Pump 3.0 from Body Attack contains the most popular amino acids like L-citrulline, L-arginine AKG, BCAA and Beta-alanine. 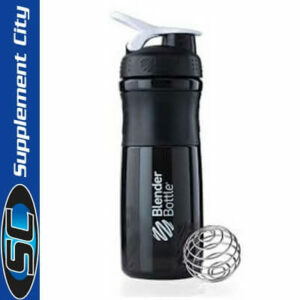 The unusual thing about this is the high quantities of amino acids that it has, which you do not tend to find in conventional workout boosters. This powerful combo supports your protein metabolism during an intensive session, with amino acids like beta-alanine and BCAA being needed by the muscles both during and after the workout. But the Nitro Pump Version 3.0 also contains the exact quantities of creatine, which studies have successfully used on athletes as well. The combination of amino acids and creatine ensures that your muscles and protein metabolism are well provided for during an intensive training session. Your muscles can feel that in training, by being able to obtain higher levels of energy and also feeling fuller and bulging during your break from training. 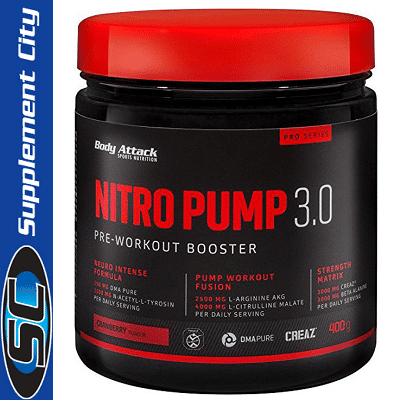 The new version of the ultimate Pre-Workout Nitro Pump 3.0 Booster from Body Attack additionally provides a very young form of creatine, the CREAZ. Instead of containing just 60 or 80 percent of pure creatine, like normal creatine products, CREAZ provides only the pure form of the active substance – creatine. 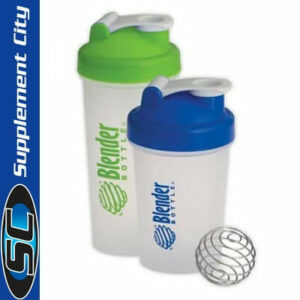 The muscles only deploy the creatine as fuel and using this, can obtain more energy. This means that CREAZ is ideal for overcoming performance limitations in workouts, i.e. the muscles can sustain intensive speed strength training for longer and better. If taken on a daily basis, the muscles could even be able to lift more weight and more reps after a few weeks. For this, however, you would need a 3 g daily input of CREAZ, so that the muscles can store enough of it and be able to obtain it in training. The Nitro Pump 3.0 from Body Attack contains the newest, purest and strongest form of creatine yet to have gone on the athletes market. The new version is made up of a new formula, which has a synergy effect on your mental concentration. The PURE and L-Acetyl-L-Tyrosine, which, according to specialised literature, are present in the metabolism of the brain and the nervous system. Like vitamins (e.g. niacin), the adopt a variety of functions and also contribute, like micronutrients, to the ability of our nervous systems to revert to normal after high strain. Recreational and competitive athletes, who have to use a higher level of brainpower in their everyday life (or job), can also benefit from this. Nitro Pump 3.0 is therefore a caffeine-free booster with a strong focus on mental strength, as the addition to the micronutrients reinforces this effect. What else is in Nitro Pump 3.0? Beta-alanine is known for being converted into carnosine during muscular metabolism und can there soften fatigue substances*. Studies revealed that it staves off muscle fatigue. Therefore, Beta-alanine goes very well with CREAZ/Creatine, which can stave off muscle fatigue and also increase speed strength at the same time under intense strain. *The European Food Safety Authority (EFSA) has not yet completed their scientific evaluation of Beta-alanine. Therefore, we must await the evaluation of this aforementioned positive feature/the study of Beta-alanine. Apart from taurine and glucuronolactone, present in the Nitro Pump 3.0 is a combination with some B vitamins. The B vitamins do not only assume a function in normal energy metabolism, it also ensures that fatigue is decreased in strenuous sport periods. In that way, you can continue your intensive, targeted training at your performance level and beyond. In order to be able to successfully complete a weights session, your muscles first need good reserves of glycogen (carbohydrate). Therefore, athletes should have a sufficient intake of dietary carbohydrates during a building-up phase. Furthermore, however, other nutrients are relevant for muscular and energy metabolism, like vitamin B6 for normal protein and glycogen metabolism. But niacin and vitamin B12 also contribute to normal energy metabolism during an intensive training period. These have a role in restructuring and constructing processes in metabolism. In periods of strenuous training, your requirement may be higher. If you are following a ketogenic diet, which does not offer a balanced amount of all food types, it can lead to a deficit in the aforementioned vitamins. Equally, the need for magnesium during strenuous sport periods may rise, as the muscles need a sufficient amount of magnesium for muscle contraction. Indeed, minerals contribute to a normal muscular function. They also have a role in the protein biosynthesis in protein metabolism, i.e. if you are following a protein-heavy diet, magnesium, as well as vitamin B6 and biotin, is necessary, as they play a sort of role in the construction of muscle. Body Attack Nitro Pump 3.0 is supposed to cover the increased need for the aforementioned vitamins and for magnesium in a strenuous sport period. So, athletes should always focus on their daily intake, as imbalance in your intake whilst following a diet always leads to a deficit in nutrients.